On August 17, 2017, LocoMotoArt will premiere Arbres de Memoire (Trees of Memory) a digital installation that provides an immersive and interactive site-responsive experience. 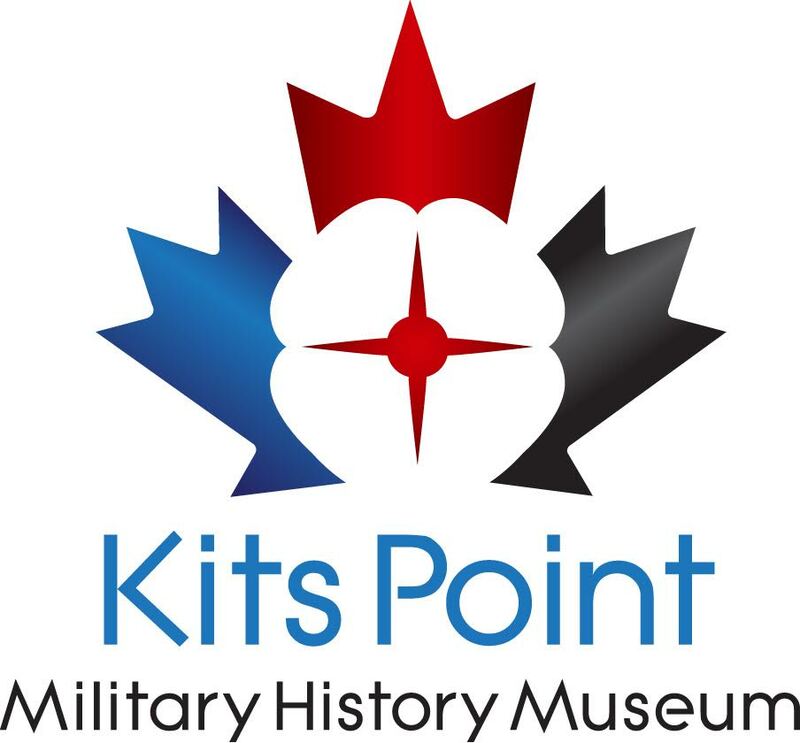 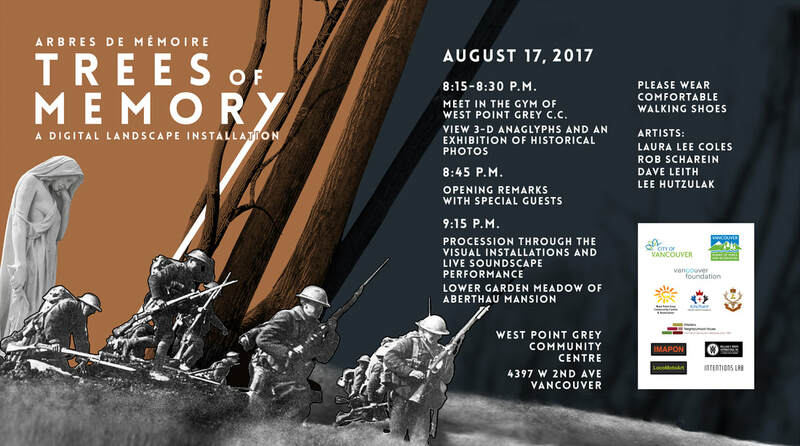 Trees of Memory will combine 3-D Anaglyphs, computer generative visualizations and soundscapes to offer a visceral, immediate emotional impact on the subject of honouring those who gave their lives 100 years ago at Vimy Ridge during WW1. 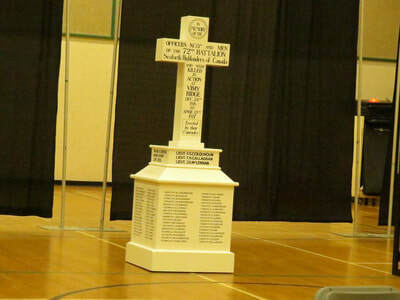 Special Guests for the evening are The Seaforth Highlanders, who fought bravely at Vimy, many loosing their lives. 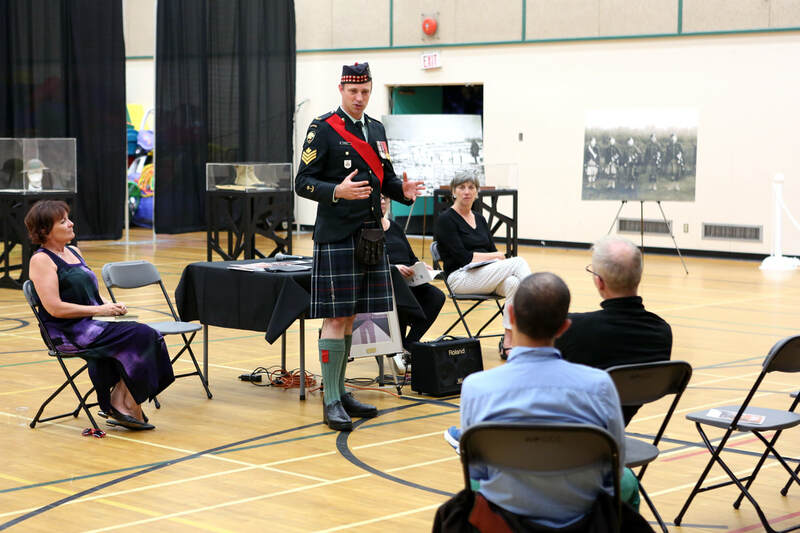 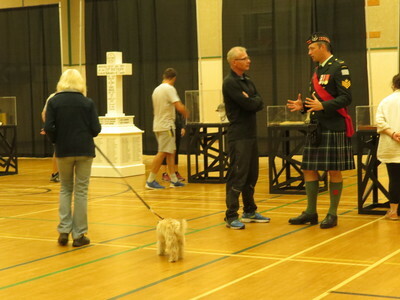 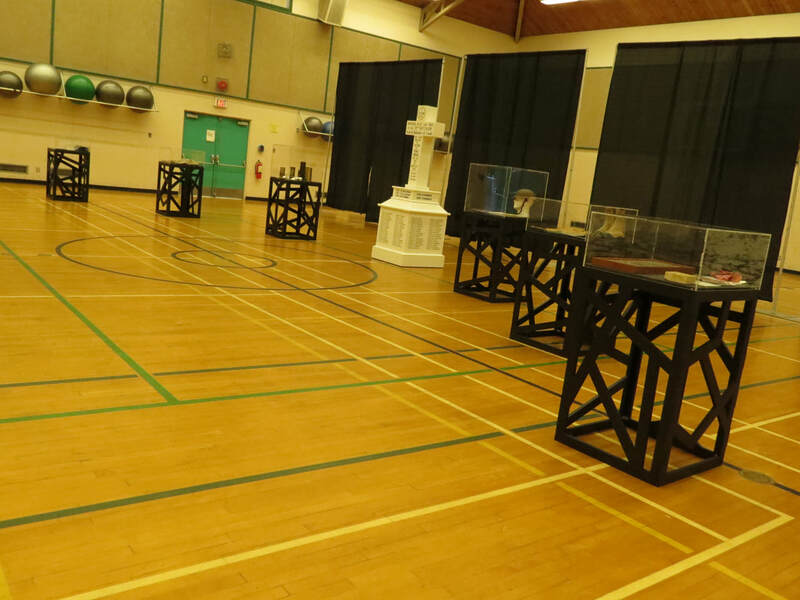 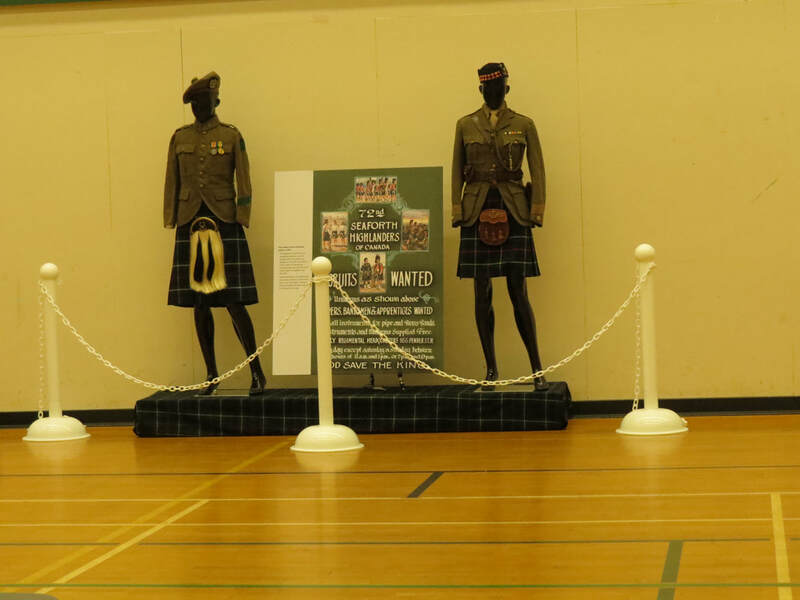 First, visitors will gather in the gym to view large-scale historic photographs and artefacts displayed by The Seaforth Highlanders. Also on view are a series of 3-D Anaglyphs artist Rob Scharein created from photographs taken at Vimy 100 years ago. 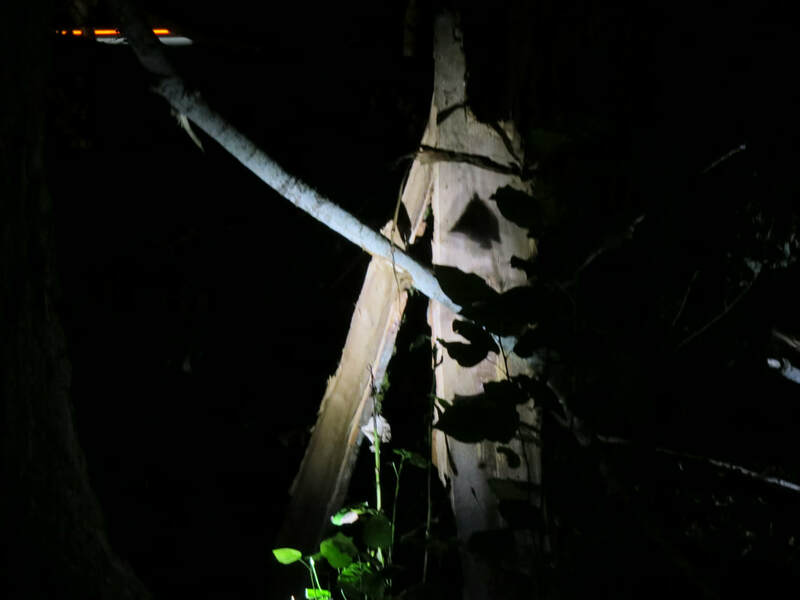 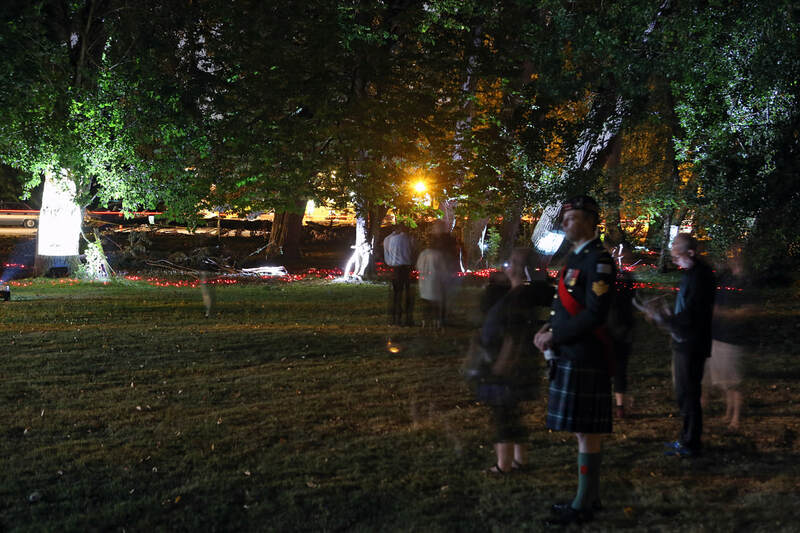 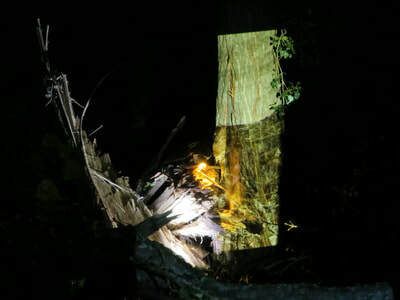 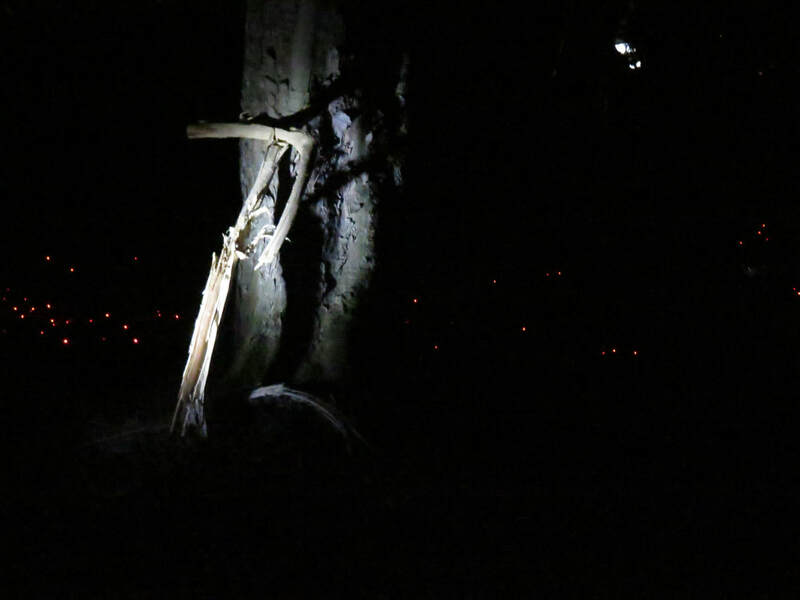 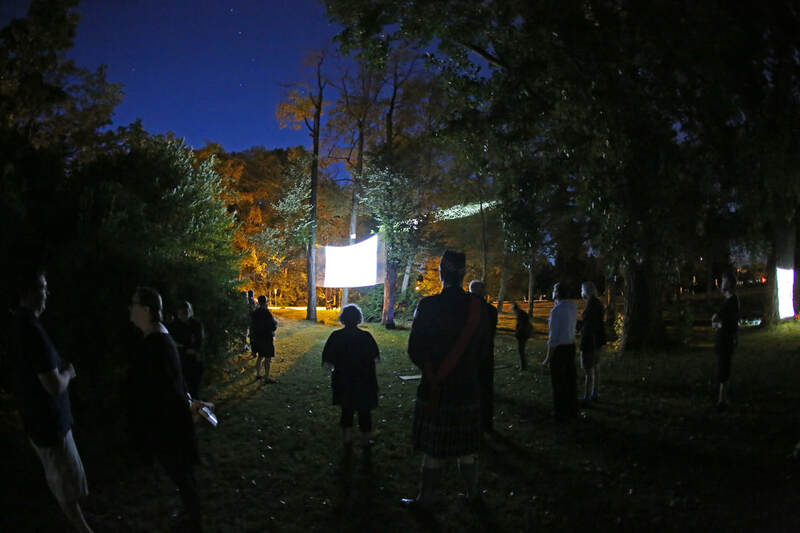 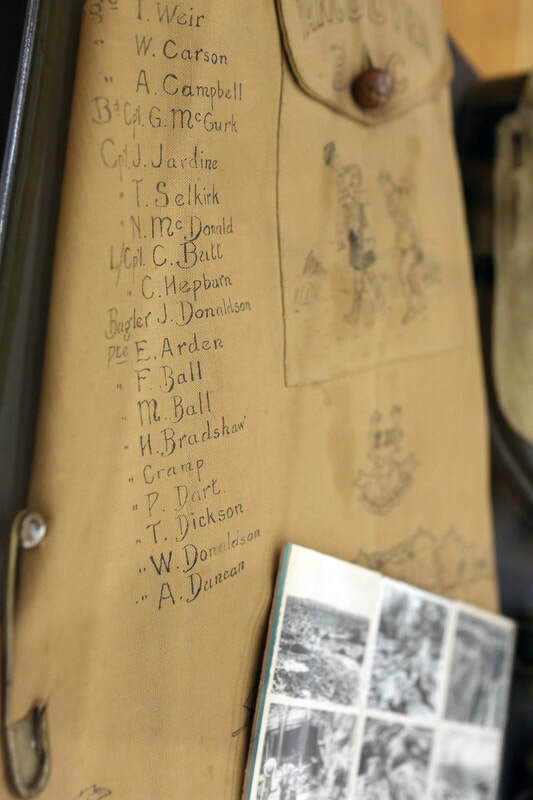 During the evening, people will be invited to walk and explore the small Cottonwood grove on the meadow grounds of Aberthau Mansion, which has uncanny features similar to that of the iconic grove of trees found at Vimy Ridge back in the day. 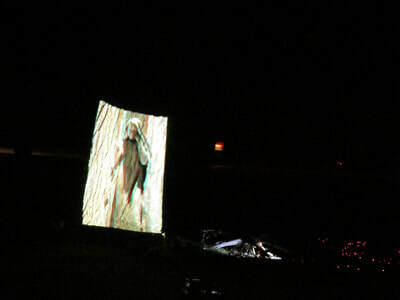 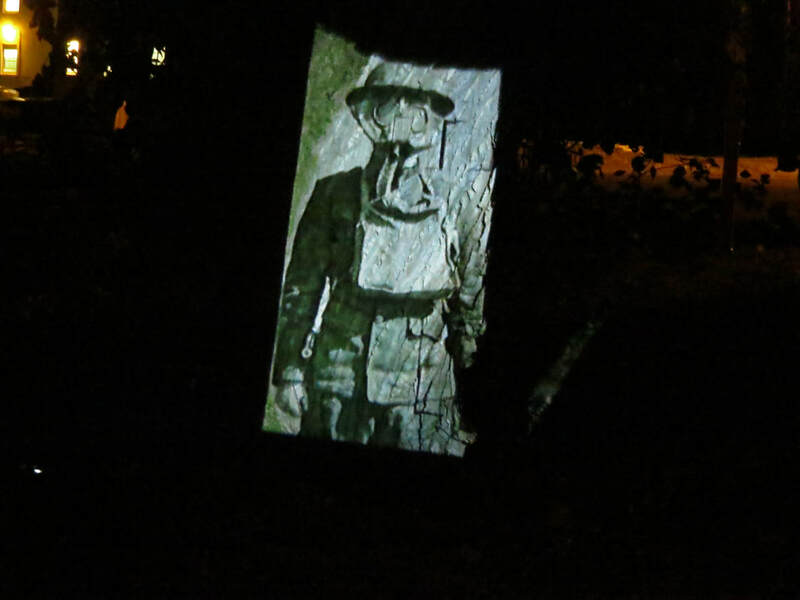 During the viewing they will see projections of collaged images of soldiers, nurses, horses and war machines from archival film footage, taken during the battle of Vimy Ridge. 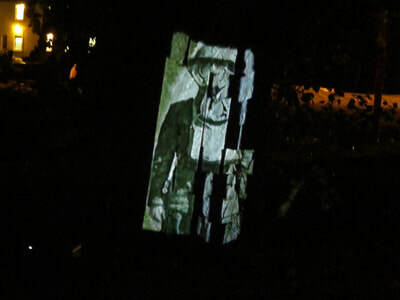 These visuals will be seen on the trunks of trees and in the canopy of leaves overhead. Sound artist Dave Leith has created a soundscape and will be performing live with fellow Vancouver sound artist, Lee Hutuzlak. 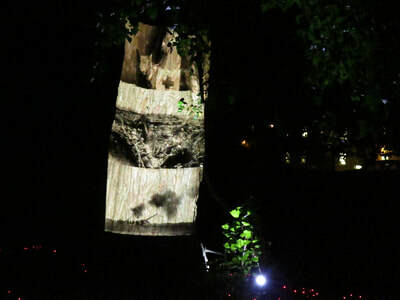 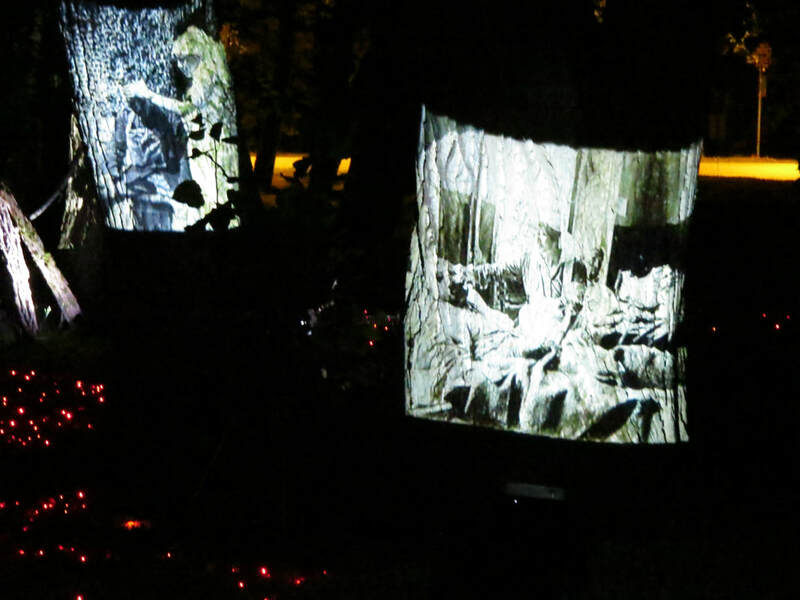 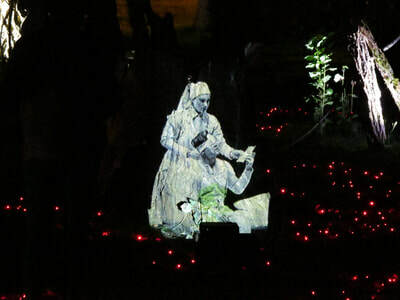 Arbres de Memoire is funded by the City of Vancouver Park Board, City of Vancouver Cultural Services, Vancouver Foundation Neighbourhood Small Grants, administered by Kitsilano Neighbourhood House. 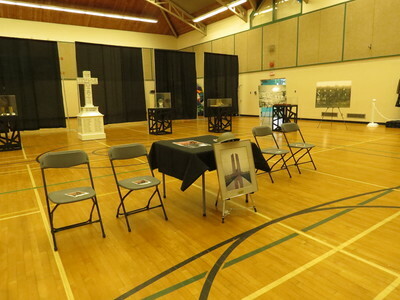 The artists also received generous in-kind support from William F. White, International, Ltd. 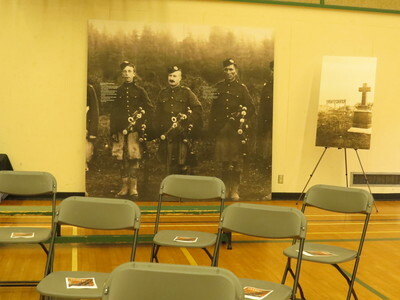 Images courtesy of: The Seaforth Highlanders, Canadian Archives, and gwpda.org. 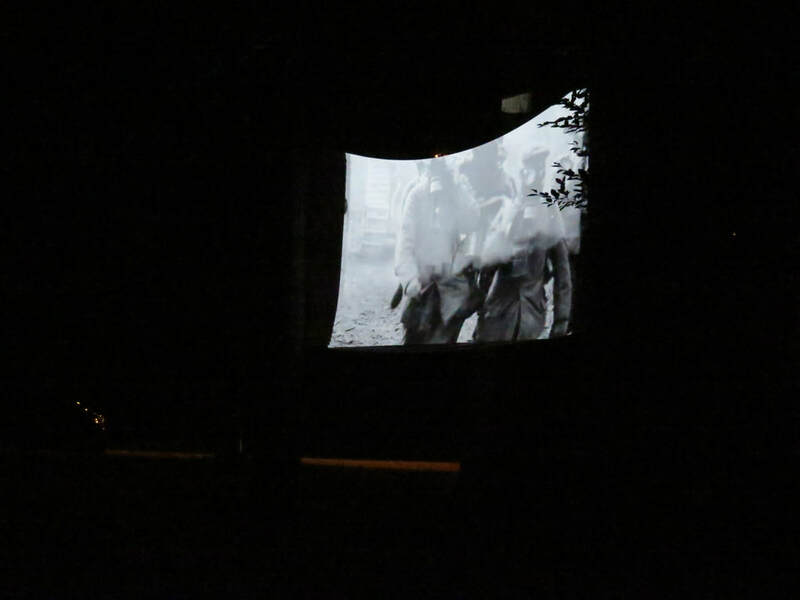 Sound archives courtesy of Freesound and the Historical Aviation Film Unit. Artist Laura Lee Coles, while conducting a Remembrance Day Poppy Garden event with the West Point Grey Pre-School November 9, 2016, noticed that the site of the meadow garden quietly and poetically offers a sense of reflection. 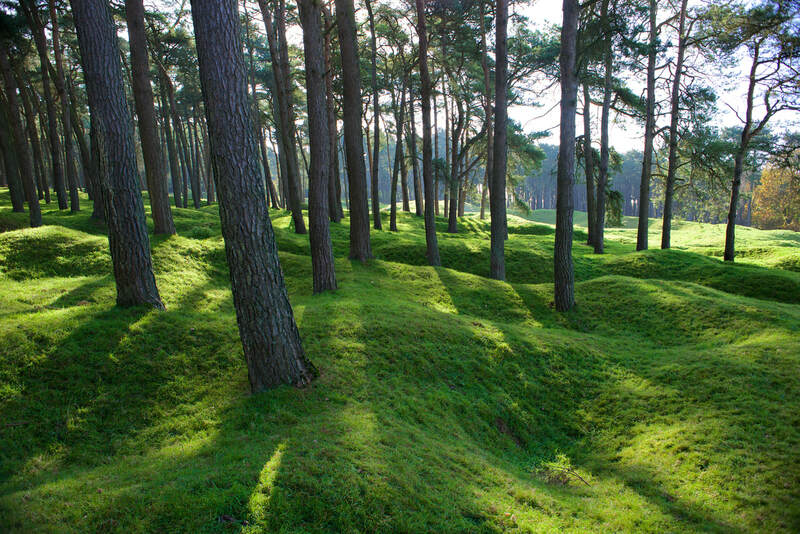 After some research, Laura Lee recognized an uncanny resemblance to the current location of the battle trenches the Canadian's occupied during Vimy Ridge. 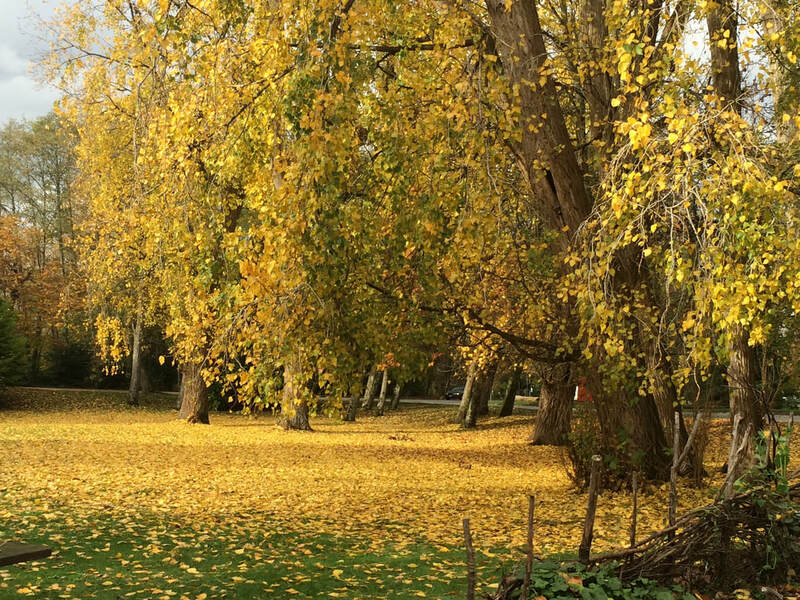 ABOVE Photo: Laura Lee Coles taken November 9, 2016 meadow of Aberthau Mansion. Below photo: Jonathan Nicholls, taken 2015. 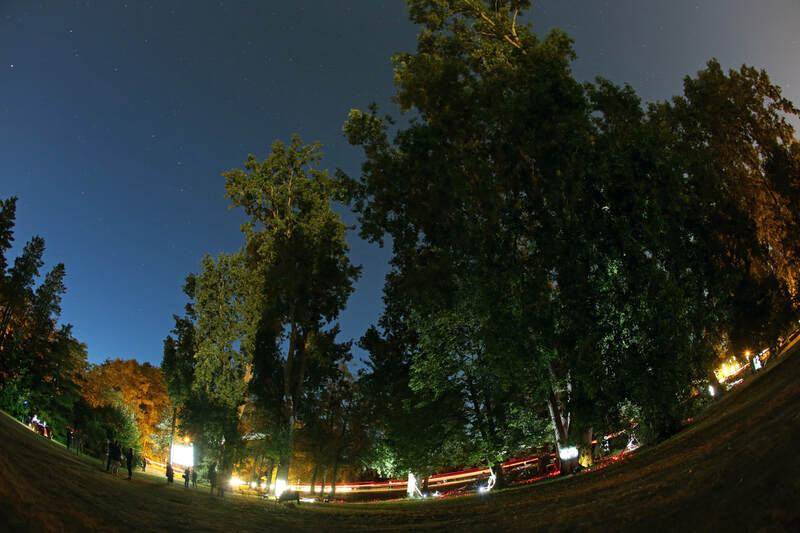 Purchased IStock Getty IMages. 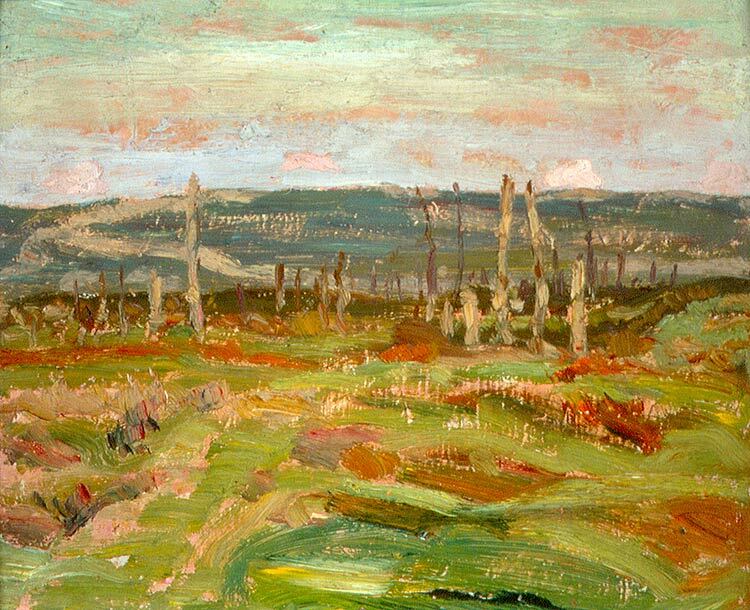 Coles was further inspired by the painting of A Y. Jackson, Vimy Ridge from Souchez Valley. 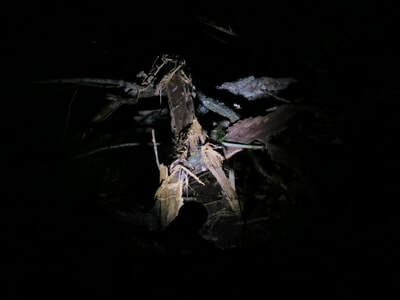 Image Courtesy of: A. Y. Jackson [Public domain or Public domain], via Wikimedia Commons. During her research, Laura Lee was moved by the work of photographers and history buffs who have visited the site and photographed it at its current state, while also superimposing photographs from WW1 taken at the same location. 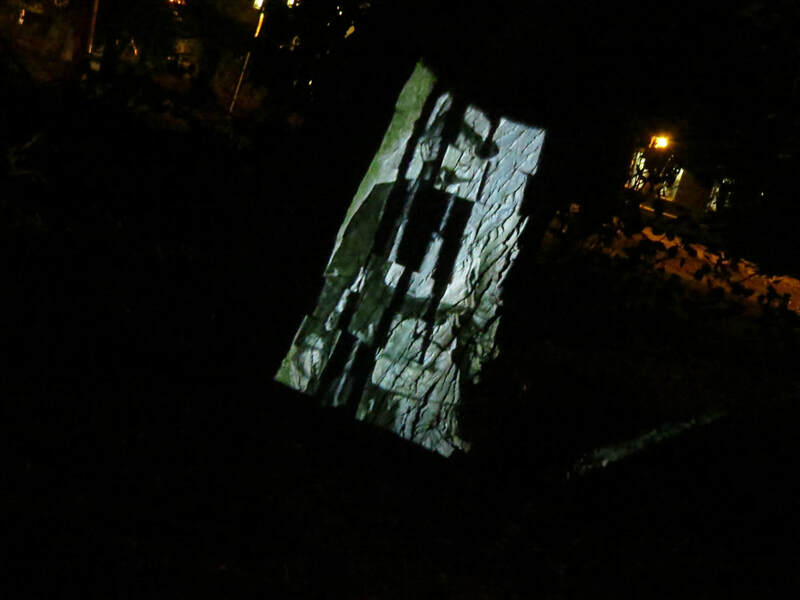 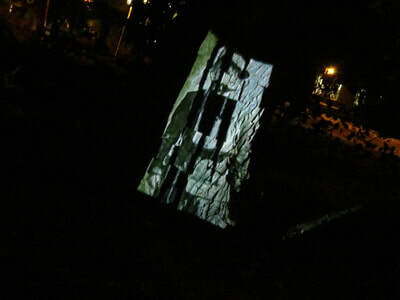 This sense of ghost like scenes motivated Coles to suggest to artists Rob Scharein and Dave Leith of LocoMotoArt, that the group consider creating a digital landscape installation with sound and moving images. 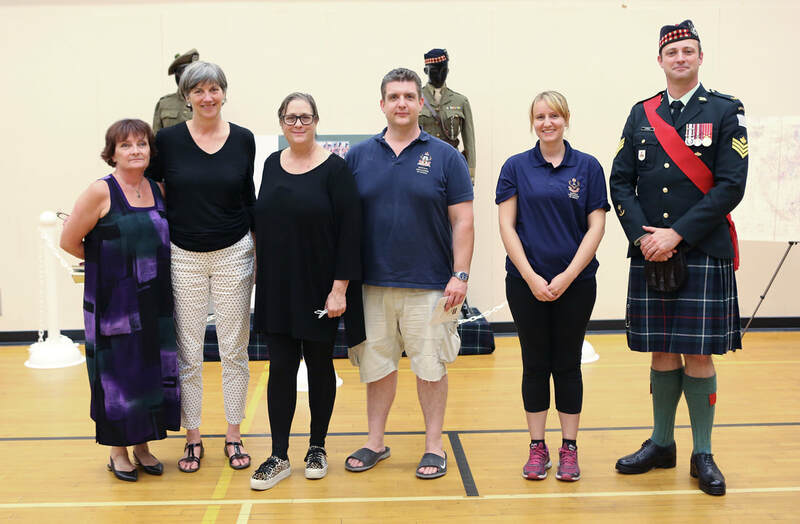 Left to Right: Gayle O'Hara, archivist Kits Point Military History Museum, Vancouver Park Board Commissioner Catherine Evans, Laura Lee Coles, Founder LocoMotoArt, James Calhoun and Meagan Stewart from Seaforth Musuem, and Seaforth Sergeant Patrick Farrell.